CDR WineLab®, CDR BeerLab® and CDR CiderLab, the analysis systems of beverage of CDR FoodLab® range, are at Sival (17-19 January, Angers, France), trade show in France to present a comprehensive and impressive offering of equipment and services for all plant productions : viticulture, oenology, horticulture, arboriculture, vegetable crops, seeds, medicinal and aromatic plants, cider, mushrooms and tobacco. 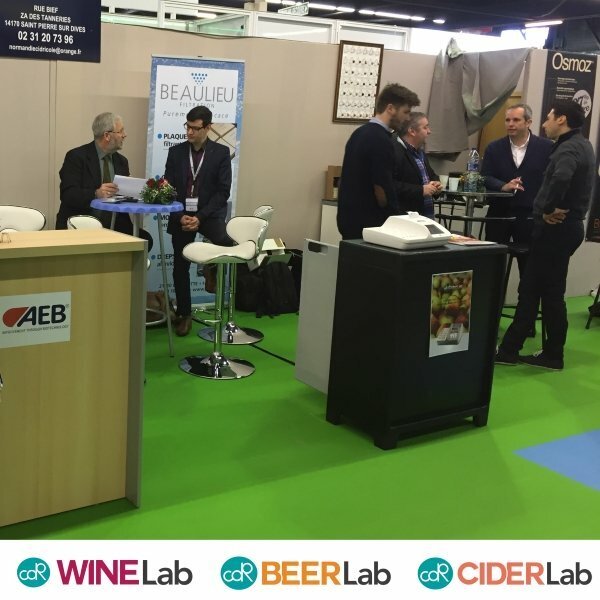 CDR WineLab® is in the booth of Butrot, the distributor of AEB enological products in the Loire Valley and CDR BeerLab® and CDR CiderLab are in the booth of Arca Frin, AEB partner for beer and cider in Britanny and Normandy. AEB is the leading company in biotechnology for wine, food and beverage. CDR has given to AEB the distribution in France of the analysis system for beverage: CDR WineLab®, CDR BeerLab® e CDR CiderLab. Beverage analysis systems in CDR FoodLab® Range at Sival 2017 – France was last modified: June 5th, 2017 by CDR s.r.l.